Potted bamboo palms bring color and warmth to any room in the house. There are many tropical delights to choose from, but most need bright indirect light in order to thrive. Bamboo palm (Chamaedorea seifrizii) is an exception to this rule and will grow in low light conditions, although they will grow taller with more light. Mature height varies from 4 to 12 feet with a span of 3 to 5 feet. The bamboo palm plant can also be planted outdoors in the USDA plant hardiness zones 10 and 11. 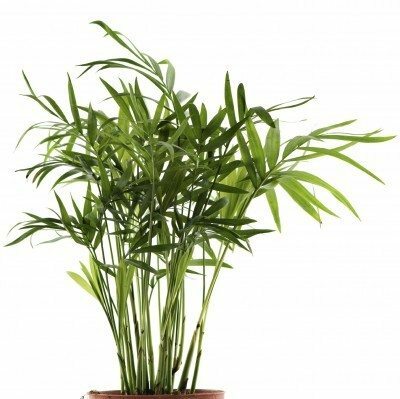 Keep reading to learn how to grow a bamboo palm indoors. Growing palms indoors is relatively easy if you start with a healthy plant. Healthy palm plants have dark green leaves and an erect habit. Don’t purchase a plant that is wilting or has brown foliage. It’s wise to transplant your palm as soon as you can after purchase. Choose a container for the palm 2 inches larger than the nursery pot. The pot should have adequate drainage holes. Cover the drainage holes with a piece of hardware cloth to keep the soil from seeping out. Use only high quality, rich potting soil for the plant. Fill the container one-quarter full with potting soil, and place the palm in the center of the soil. Fill the rest of the pot with soil up to 1 inch from the container rim. Gently pack the soil around the palm plant with your hands. Water the newly transplanted bamboo palm with filtered water immediately after planting. Place the palm in a sunny location or a place that receives bright indirect light. Do not place the palm in direct sunlight or near an air vent. Bamboo palm plants don’t take a great deal of time or energy. Water the palm using room temperature filtered water when the soil surface feels dry. Water the plant until the soil is evenly moist. Don’t over water the palm plant or leave it sitting in water. Check often to be sure that the plant is draining properly. 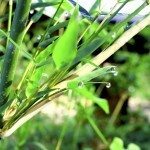 Caring for bamboo palms also involves using a time-release fertilizer during the growing season. Granular fertilizers work best. Follow the manufacturer’s instructions when feeding your palm plant and always water the fertilizer in. Repot the bamboo palm once it becomes too large for its present container. Watch for mites, especially on the underside of leaves. If a mite problem develops, be sure to wash the leaves with a soapy water mixture. Remove brown leaves on a regular basis. 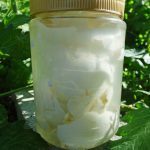 Read more articles about Bamboo Palms.